My new “Overseas” manufactured 45w HF amp arrived at work today. I bought it to use with my FT817. The seller stated that they would supply an interface cable for keying the amp from the acc socket on the radio. Said cable is a kit of parts with no diagram. As I am stuck at work double shifting, can anybody help me out with a diagram for the pin outs please? I only need to switch to TX - simple 2 wire cable. Next trick on night shift is to make a new link dipole in the warehouse at eve meal break! Nice to see you back Tim. Stuck in China at present on a short contract - No Google services at all and no Facebook for those who do (I dont!). On with the cable making it is for entertainment tonight. Whilst there’s lots wrong with Google (like a failure to pay proper tax in the UK), an internet without Google search would be challenging. Do they not allow Bing either? Whilst there’s lots wrong with Google, an internet without Google search would be challenging. For tax free searches, there is Google - for all other searches there is Xinhua. Yahoo works - kind of, but content is filtered. Anything .com, US, European or Western is filtered, slowed down and content removed. Internet is so monitored that the letters in this reply take about 6 seconds each to appear! Its been a while since I did close up soldering - this old age thing is nothing to look forward to. Looks like a trip to specsavers is in order. It’ll be interesting to know how you find the amp and how it performs on the hill. My MXP50M amplifier has just arrived and my ACC interface cable is also in kit form with no diagram. I agree with others, there is not much info to be found on google so I just want to be clear on my connections. From what I can gather - Black connects to GND and Red to TX GND on the supplied Acc plug. Tim or anyone else do I have that right? Thanks Allan, I dug deeper on Ebay and found wiring instructions posted from a different seller. Also got some good advice on an 817 forum. Your photo confirms I am on the right track. Thanks again. Mine came ready made. If you’re desperate I can bell it out and post the findings. 73, John. As in the amp is terminated with the little black clip on the two control leads or just not exposed at all? If you are looking for a source stateside, I’m afraid I can’t help you. Yes there is a little black plug on the control cable. Thanks for the link. I will order the cable(s) today. I was very surprised to discover it came with no cables. I have found no supplier here in the US for parts for this amp. The amp its self is not available domestically and must be imported. Mine came from Hong Kong, I don’t know anyone else here who has one. I hope it works as well for me as it appears to for others on YouTube etc. Thank you both for replying!!! 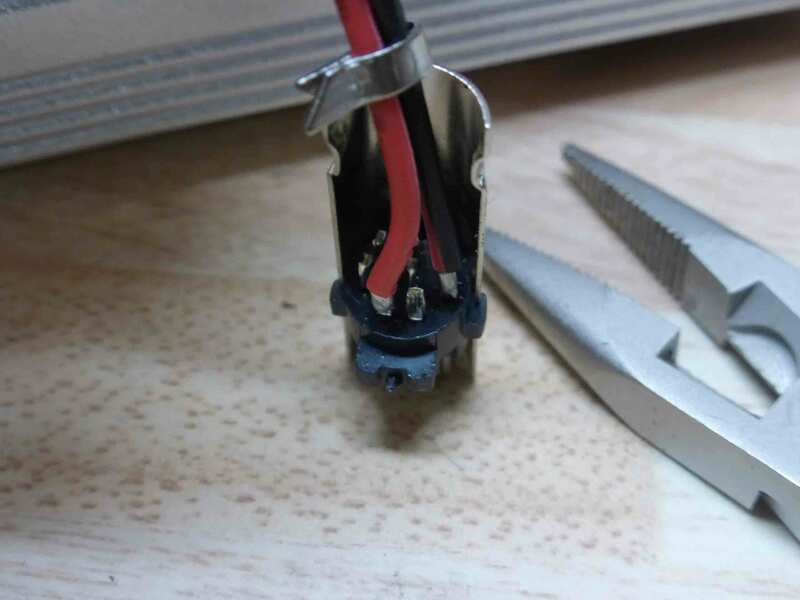 You could, of course, just splice a wire from the back of the amp to a mini DIN plug. The relevant contacts are shown above. Might save you a fair bit of money. I have one of the amps but I bought it from another ham, don’t know if he had to assemble the keying cable. 8 pin din plugs are a bit fiddly, but you can always buy an assembled cable and adapt it with a pair of side cutters. I experimented with the ft817 driving the amp. According to my power meter, a cross needle meter included in an ATU, the amp produces just over 40w whether it’s driven by 5w or 2.5w. This means 5w is overdriving it and will produce a wide signal on ssb. 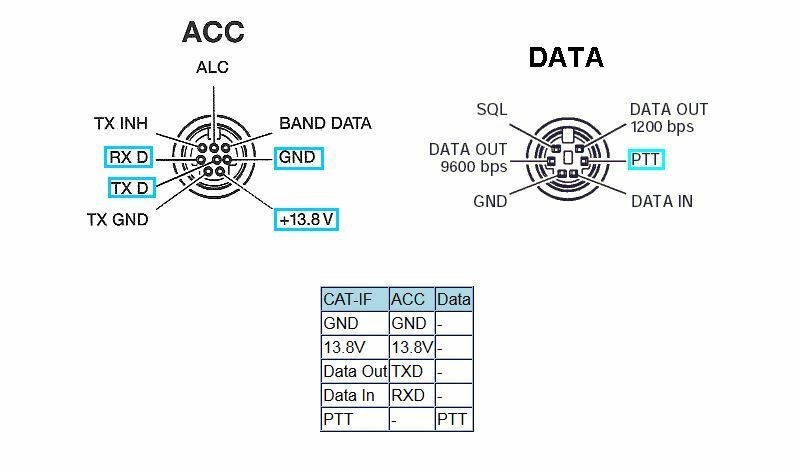 There is no ALC feedback connection to reduce the drive, and anyway those systems still produce dirty signals. At 1w input it produced 20w and at half a watt it was about 10w. So it is apparently linear-ish at low power levels, typical of solid state amplifiers, but output flattens off with higher drive. 2.5w is probably the practical and socially acceptable drive limit for good operation. Your amp may vary, but I recommend testing this aspect. A fringe benefit of this outcome is that the 817 can run at a lower power level, resulting in a modest saving in battery consumption. One of the plugs is used on PS2 mice and keyboards. A quick chop with the side cutters and you’re on your way.